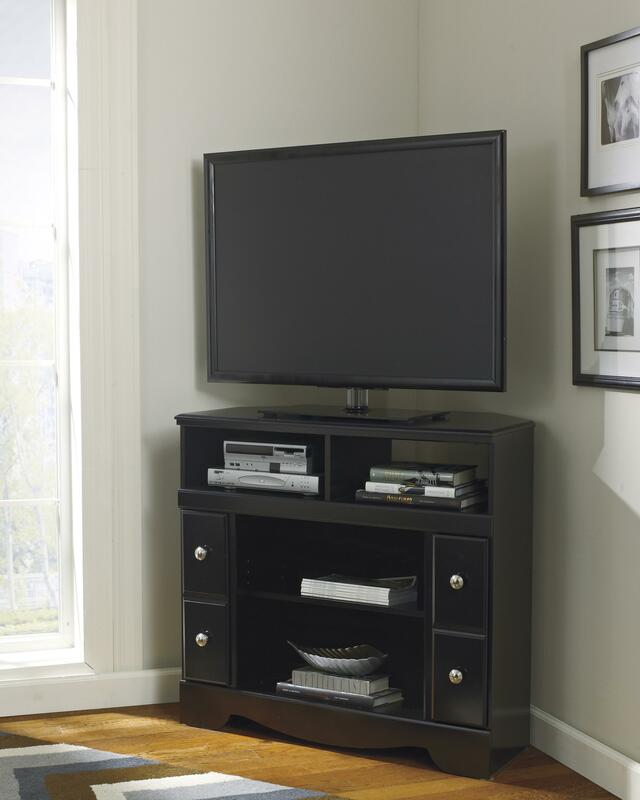 Width (side to side) 38.07"
Height (bottom to top) 35.43"
Depth (front to back) 16.14"
This sleek TV corner stand offers both functionality and style to your living room. The black finish has a merlot color undercoat that is simply stunning. 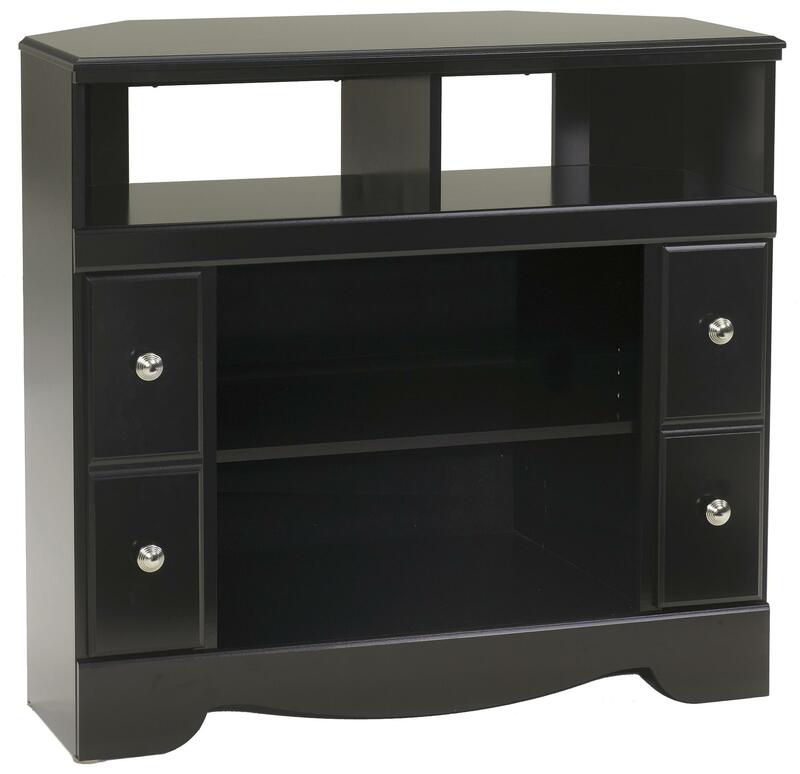 The front is adorned with delicate satin nickle knobs and for added storage the piece also features two shelves. An optional fireplace insert is compatible with this TV stand.